The dog likes bones, but what does the bunny snack on? 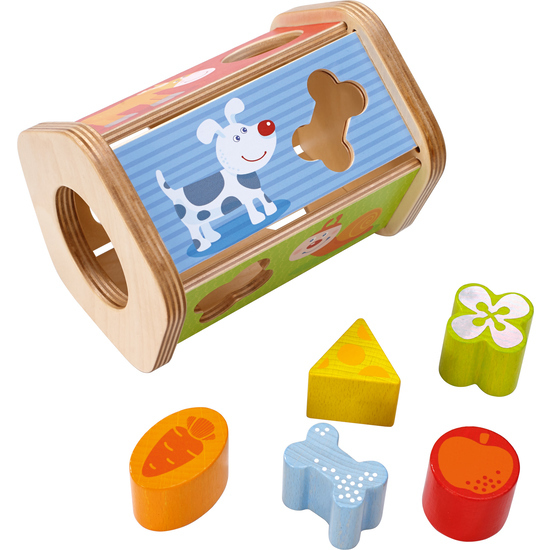 Sorting box Snack-stack brings children double fun, learning the favorite foods of darling animals and training shape-recognition and fine motor skills. Contents: 1 sorting box, 5 wooden shapes.